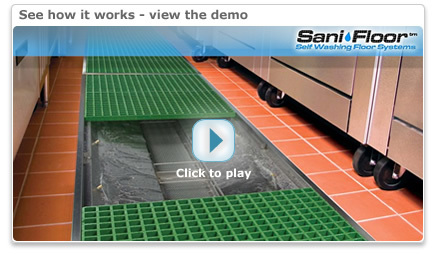 Sani-Floor® is passionate about your floors! We pride ourselves in bringing you innovative solutions to your problems and concerns with your floors. Our products are designed to make your floors safer and more sanitary, to reduce costly maintenance and to increase employee efficiency. Let our engineering, manufacturing and sales support team help you create the facility you want and need! Welcome to Sani-Floor!